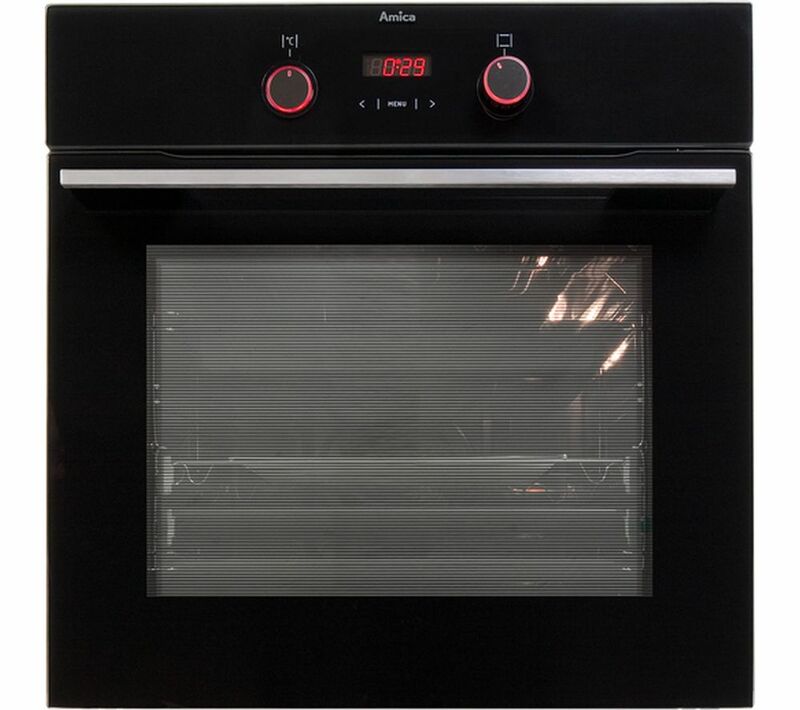 The Amica 1143.3TSB Electric Oven is the perfect choice for a busy family kitchen. Its large 65 litre capacity has enough space for big cooking such as roasts, pasta bakes, big cakes and more. The oven also has a fast preheating system, ideal when you need dinner made quickly. And with an efficient A energy rating, it'll help you save money on your household bills too. Two lights inside the Amica 1143.3TSB Electric Oven illuminate your cooking so you can check on its progress without opening the door and letting out all the heat. And when you're food's ready, telescopic oven racks make taking the tray out of the oven that bit easier, and safer. 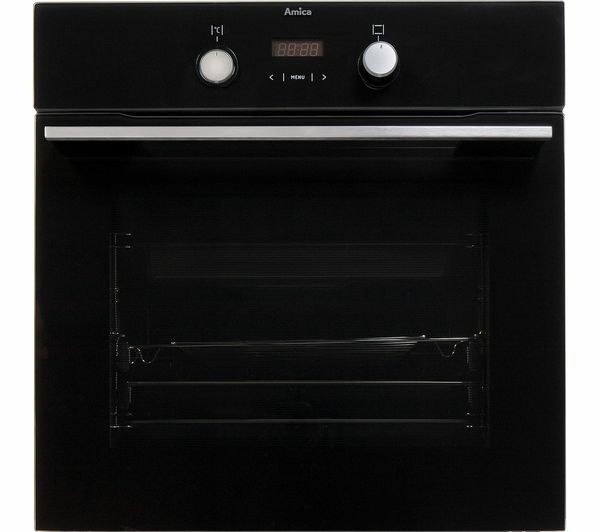 The Amica 1143.3TSB's Aqualytic cleaning system takes the hard work out of cleaning an oven. Just pour half a litre of water into the base of the oven, press 'Clean' on the clear touchscreen display and watch as steam softens stubborn grease and grime. The all you have to do is give it a quick wipe and you're done – no more scrubbing away for hours. Looks good and cooks well. Am pleased with my purchase. As yet none but we have only been using for just over a week.